Ms. Cho offers 20 years of combined experience in economic development and real estate development, as a facilitator in both the public and private non-profit sectors. Prior to entering the real estate development field in 2006, she spent ten (10) years advocating for a better business climate for small and minority-owned businesses in New York City. As the Director of Real Estate Development, Ms. Cho has re-financed three expiring tax credit projects by recapitalizing their assets and restructuring the debts. The three projects represented 138 units renovated with $1.4MM of capital investment where affordability was preserved for the next 15 years. She has authored a repositioning strategy for Park Monroe HDFC which included a comprehensive capital improvement plan to maximize the 267 unit properties’ energy efficiency, and restructuring of debts that would ensure a long-term positive cash flow has won a resounding support of the NYC HPD and has been approved for FY 2014 funding pipeline. When completed, the project will add $35 million of capital investment to NEBHDCo’s portfolio and earn over $3.5 million in developer fee. Ms. Cho has participated in the acquisition and repositioning of 619 Throop Avenue – NEBHDCo’s future new office! The strategy utilized was to reposition its assets through a comprehensive capital improvement plan and a restructured tenancy mix. When completed, the rehabilitation which is estimated at $5 million will not only improve the building’s infrastructure but also will mark a significant advancement for NEBHDCo by establishing a larger presence in the central Brooklyn community with a focus on mixed-use development in support of our affordable housing mission. She advanced the Vann Court Mixed Use Development which created a new financing scheme that increases affordability while reducing the developer’s equity contribution. The $36 million project will yield $1.7 million developer fee with a healthy cash flow to the project. Ms. Cho brought the Van Sinderen Mixed Use Development opportunity to the organization. The new-construction project combines 2 private lots and 1 city-owned lot to build a 6 story mixed-use structure with 84 units of affordable apartments and 15,000 square feet of retail. Additionally, she brought a creative development partnership to the Vernon Avenue site through a design-build contract structure. When completed, the 16-unit market rate project whose total development cost is estimated at $5 million will set a new bench mark for NEBHDCo’s small-scale development models by achieving efficient building systems, high-end amenities and in-home technologies at while maintaining affordability. In addition to her Master’s Degree in real estate development from Columbia University, Ms. Cho holds a Bachelor’s Degree in International Relations and French Literature from Boston University. Doreen Davis - Director of Community Programs Doreen Davis, LCSW, PhD, has functioned within the field of social work and social service provision for over thirty years. As an undergraduate she attended SUNY at Old Westbury where she doubled majored in Psychology and Sociology. Dr. Davis received her Master’s in Social Work degree from SUNY at Stony Brook and eventually her PhD in Social Work from Fordham University while a fellow of the Counsel on Social Work Education. 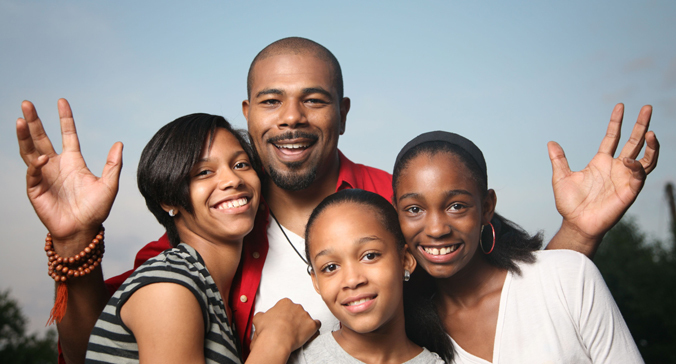 Dr. Davis area of expertise is services to families across the span of age. Dr. Davis has worked in a variety of positions within the field of service provision and as she increased her skills and experience her span of responsibility within the field also increased. Doreen started out as a direct care provider for developmentally delayed and handicapped adults. She supervised the social service staff in Head Start, she ensured that all of the necessary case planning and management activities were performed and documented. She became a case investigator and planner as a child protective worker at the Administration for Children Services (ACS). At ACS she progressed up the ladder to supervision of case investigators, case managers and planners, she trained workers in the various areas of service provision as well as students working toward their Masters in Social Work. Dr. Davis taught social service classes for eleven consecutive years at Hudson Valley Community College. She has functioned as an independent consultant working with community based and not for profit organizations providing contract compliance reviews, program management, program development and staff training for people working within all levels of service provision in all areas, be it drug rehabilitation, mental health providers, child care workers, or non-profit board members. She has presented at professional conferences for service providers and Social Workers both regionally and nationally. Doreen has also function as a reviewer of request for funding proposal at the federal level and she is certified as a federal reviewer.